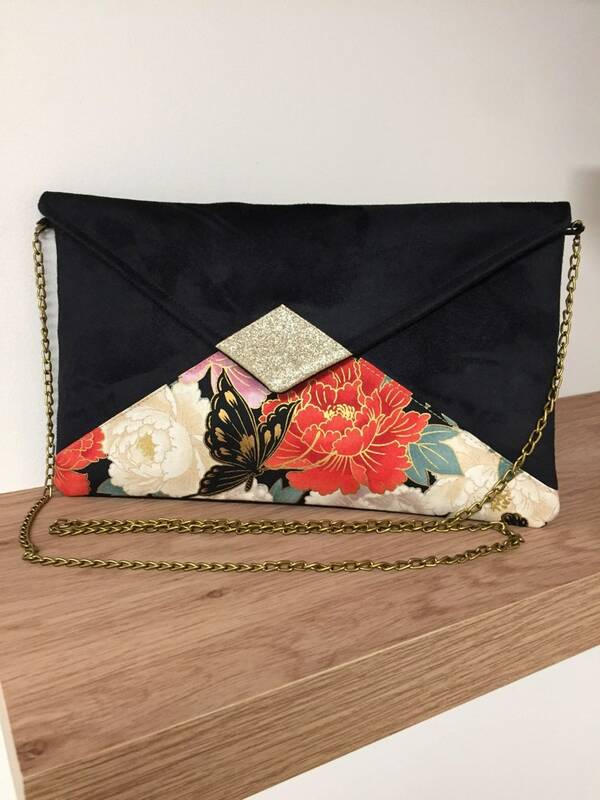 Evening bag, wedding, black and gold, in suede and flowery Japanese fabric... An envelope shape, very trendy for your outings, a wedding, bridesmaids or a ceremony. It is made of suede with a very velvety feel, suede effect, enhanced with an original Japanese fabric with coloured and golden flowers. It is lined in perfectly matching golden cotton fabric. The closure of the flap is done by a magnetic button golden.